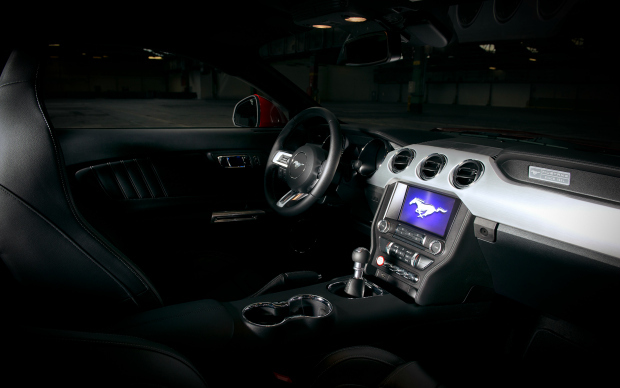 When I was asked to photograph the brand new Ford Mustang in the European specification for the Geneva Motor Show I was amazed. I saw myself staging the father of all muscle cars somewhere on Route 66 or on a lonely highway in a far far away country. Unfortunately this was not supposed to happen. Due to time and car availability restrictions, we had to move fast and shoot in Cologne. 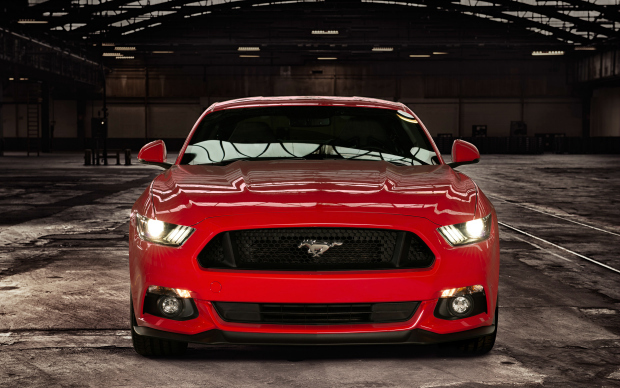 Weather conditions were bad and the racing red Ford Mustang was already prepared for the presentation at one of the most important motor shows this year – Geneva International Motor Show 2015. Even though the car had already been presented earlier to the public, this specific model is the first EU spec car Ford ever had in Europe. Ok – I can deal with pressure. Conditions could have been easier. When it comes to body color, presentation, logos, gap width or (most important) reflections for example, car executives can be really really picky. I experienced that with Volkswagen, Bentley, Audi and BMW before, so I was alarmed. Although this was not a catalogue shooting, I knew details and design lines are important. There is no ultimate recipe for car photography shootings. It’s a lot about the right location, timing, light setup, camera, format and last but not least post production including 3D usage. At VUCX we have a lot of experience especially with the compositing, 3D creation and retouching post production process. The shooting was scheduled for Tuesday, Feb. 24 – we had the car in front of our lense for five hours only. As location we (client and me) decided to shoot in a giant hangar on the Ford factory premises in Cologne. With the beautiful window arches, patinated columns and an industrial floor an ideal location with nice urban flavour.